The team at PNW Financial Concierge uses QuickBooks by Intuit as a full-service accounting software. With a combined forty-five years of accounting experience across many industries, we've got you covered. 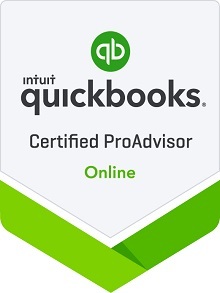 As QuickBooks Certified ProAdvisors for both Desktop and Online versions, we offer both support and instruction to sole proprietors, small, and medium sized businesses. With a combined thirty years of QuickBooks-specific experience, We'll answer those tough questions! By integrating the available document storage and organization functionality within QuickBooks, our methods ensure a seamless experience between your financial information and the documents to back it up.